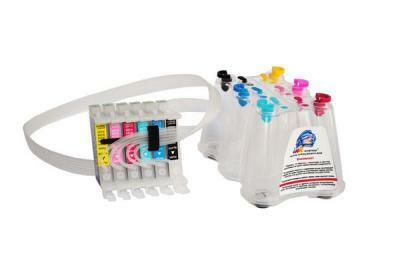 Try Continuous Ink System with your Epson Photo 780 and make 30 times more quality prints for the same money! Pay only 0.04 USD for A-4 full color print! The continuous ink system Epson Photo 780 is a unique ink supply system that enables printers to work incessantly, even when ink is running out. Instead of stopping the printer right in the middle of the process, CIS for Epson Photo 780 consumers can just add ink to externally connected ink tanks and continue printing. Uninterrupted workflow, that Epson Photo 780 CISS ensures, is of vital importance when the amount of materials to be printed is substantial, and time is limited. 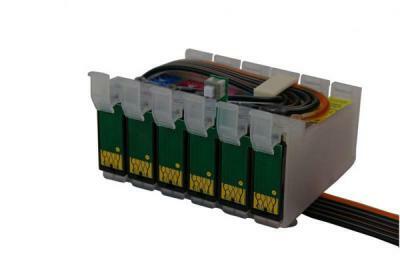 In addition to incessant ink supply, the ink system for Epson Photo 780 provides substantial cost savings. Ink tanks included into the CISS Epson Photo 780 are easily refilled, which eliminates the need to buy new cartridges every time they run out of ink. Moreover, as the Epson Photo 780 CISS ink tanks are more capacious, the cost of ink itself is reduced, which lowers the cost of the whole printing process 20-30 times. The quantity of prints one can produce without refilling the tank is very impressive as compared to conventional printer cartridges. 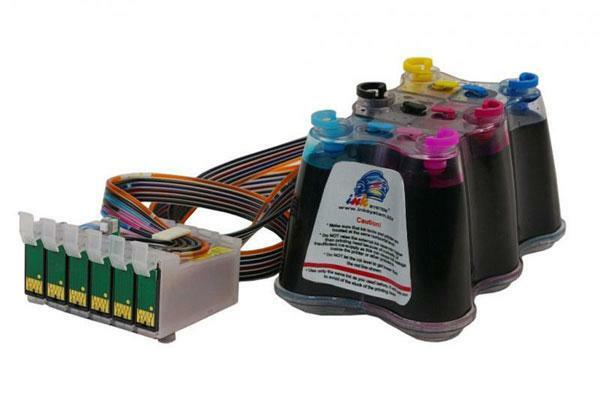 Thus, bulk ink system for Epson Stylus Photo 780, along with other CISS like epson artisan 730 ciss, is an economical way to use ink in the printing process. Despite being a non-original system, Epson Photo 780 CISS is completely safe for the printing device. Manufactured out of top level materials in professional South Korea facilities, ink systems like CISS ink system Epson Photo 780 or epson nx130 ciss guarantee completely safe integration with Epson printing devices. Epson Photo 780 CISS are designed by analogy with manufacturer cartridges and have no negative influences on the printing process, the result, or the device itself. The bulk ink system for Epson Stylus Photo 780 is thus not only a highly cost- and time-efficient solution, but also a totally secure one.